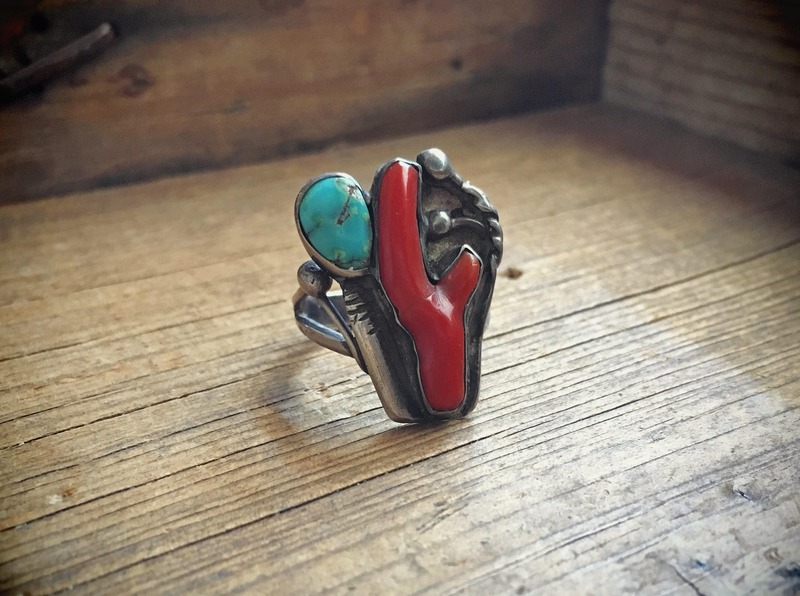 This turquoise and coral ring is absolutely delightful. 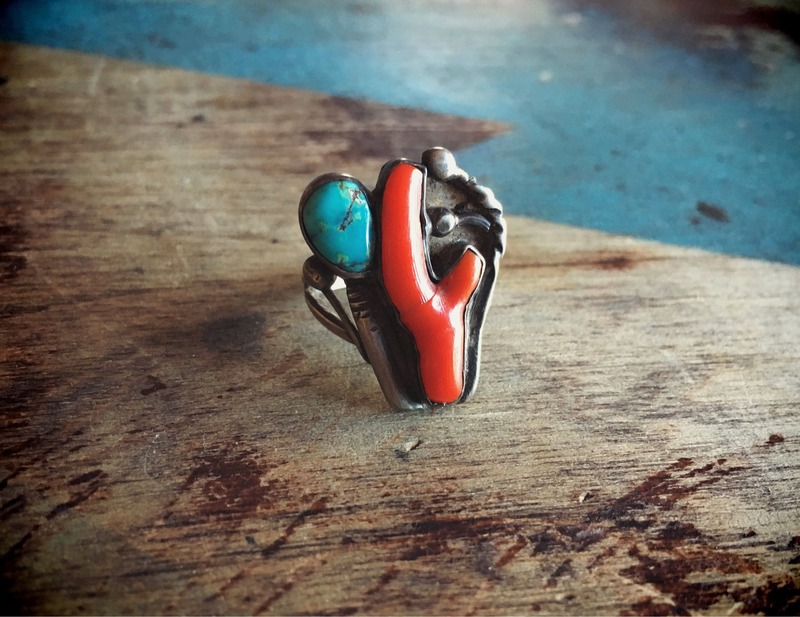 A Mediterranean coral branch--natural and unprocessed--is placed into a smooth silver bezel, looking like a red cactus. And guess what? 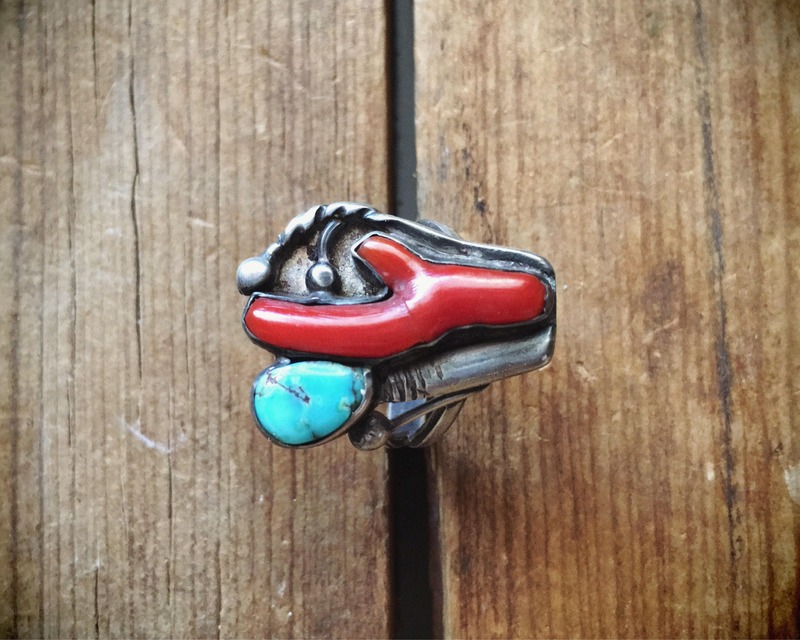 It blazes under a turquoise sun, or shimmers under a turquoise moon. What a clever design! The cactus branch has a hairline fracture across it, but we have checked the piece and the crack does not penetrate all the way through, nor is the coral at risk for falling out. 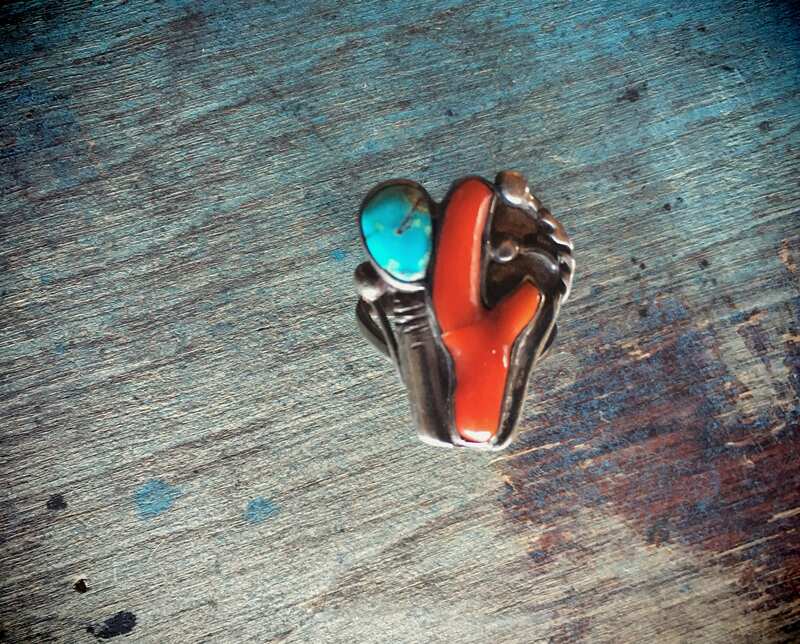 The turquoise is natural and has what seems to be a scratch, but that is actually matrix at the surface. 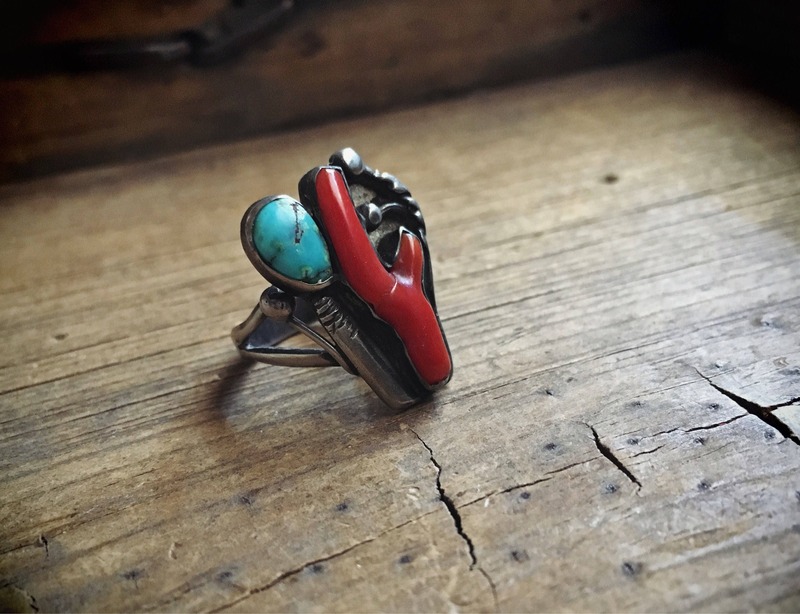 The ring does not carry a hallmark, and so we cannot say with certainty that it is Native American. 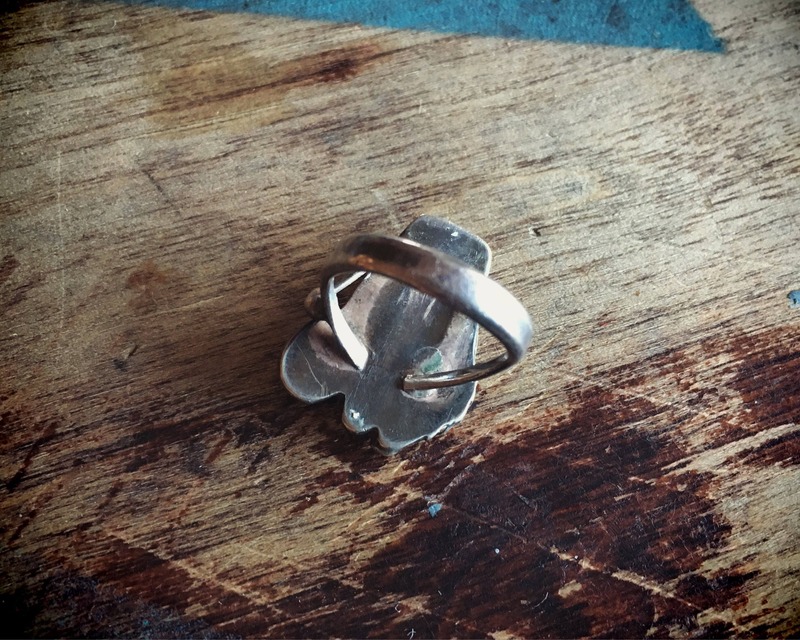 The ring face measures about 7/8" across by just under 1" long. 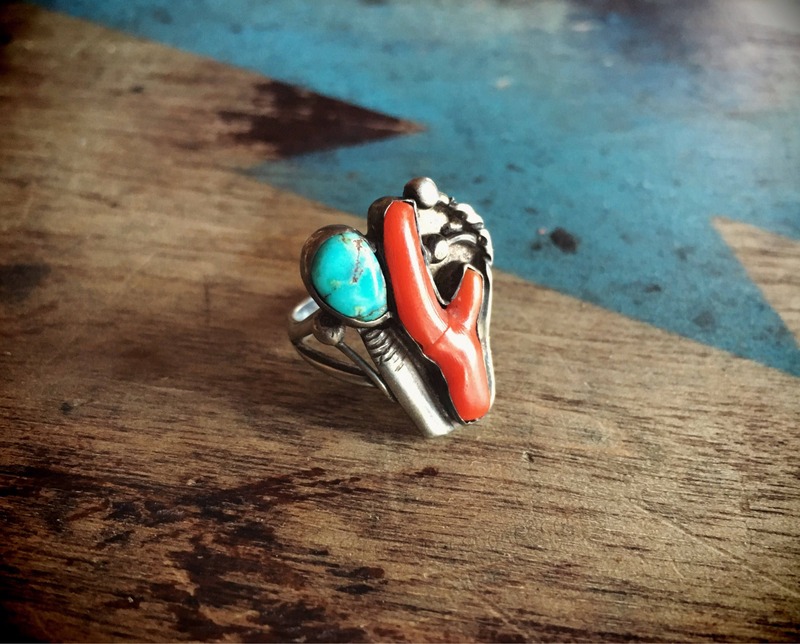 Ring is Size 5.75. Some tarnish of the silver and scratches on the back side. Wonderful symbol of the magic of the desert.